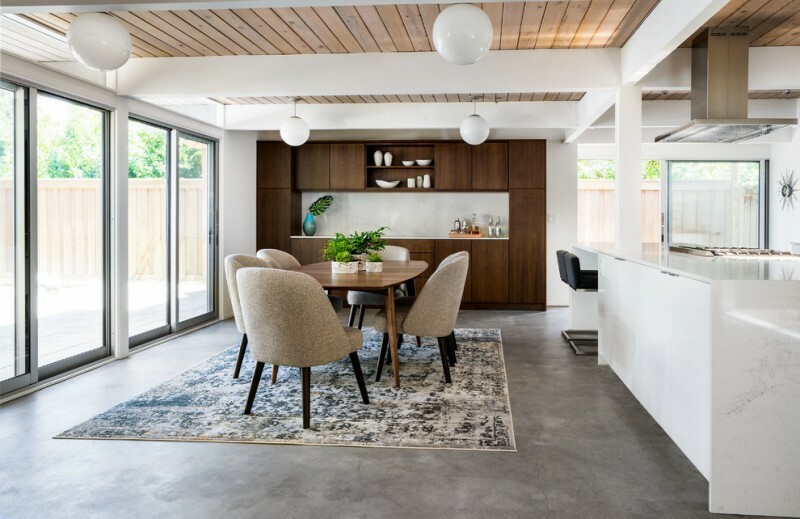 Mid century modern dining room ideas are usually followed by particular recognizable characteristics like adopting the open plan concept and ample window, as if it exists the outdoor inside the house by opening up the space of interior and uses the natural lighting to brighten up that space. Not only that, another most recognizable thing about this design is most of them use the clear glass as the walls. Then about the furniture, they’re designed in clean line, simple, functional, and stylish. They are built from both natural and fabricated ones, and they’re lovely collaborated with the elements of nature, especially in most current implementation. 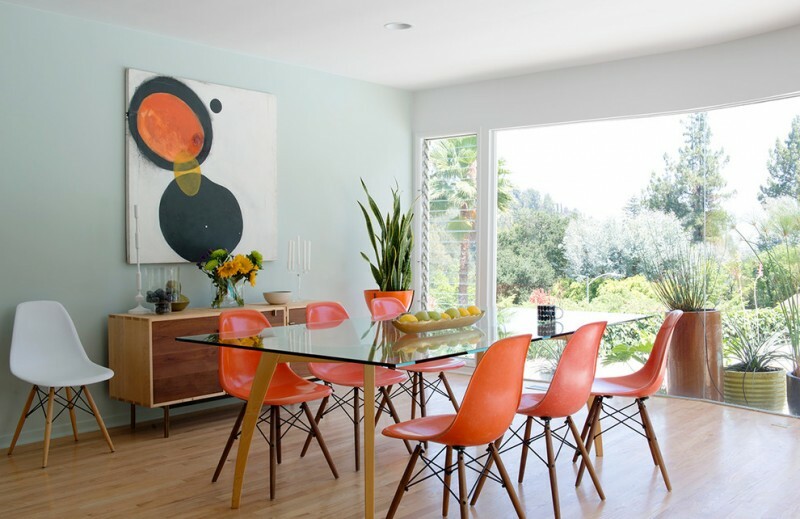 Well, to add your references of mid century modern furniture, I have collected the best ones you might want to adopt for your dining room remodel. Choose one or some based on your personal style, probably they’re gonna work and bring out a new idea as what’s your dreaming on. Let’s check them out. 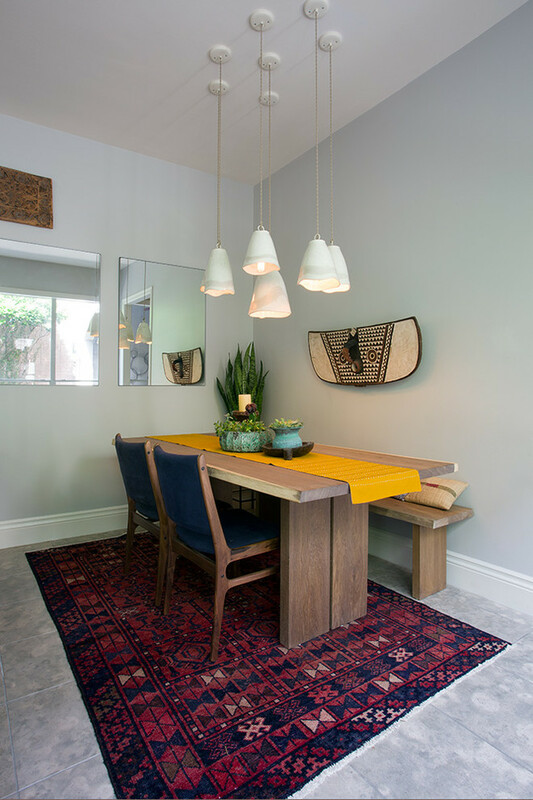 A funky design for making a light and airy dining room remodel. 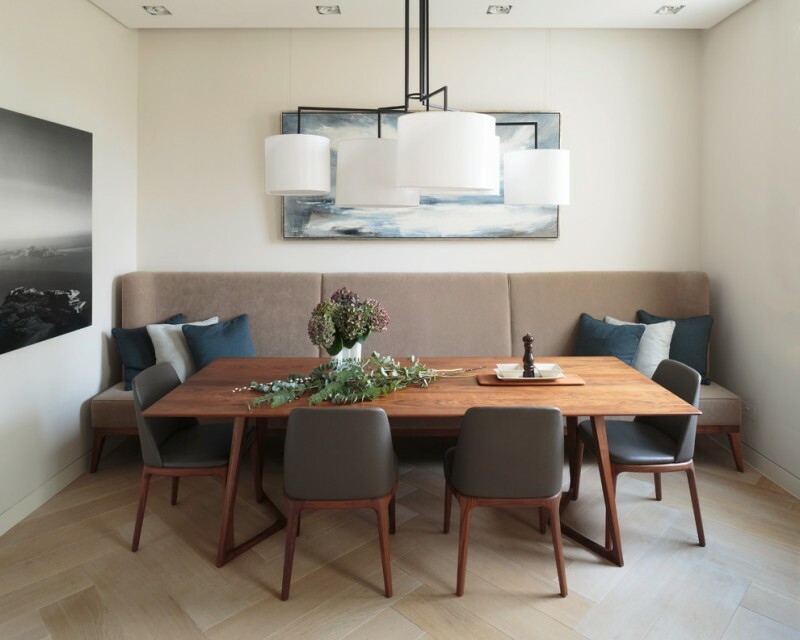 By using medium-toned wood material, the dining table and bench have the same tone with the floors, creating a harmonious and balanced look. 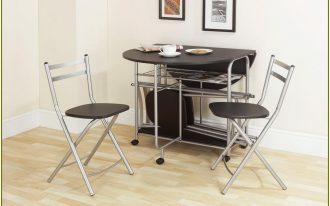 The Eiffel-base chairs also offer what modernity is. Personally, I like the shelves behind the wall. They’re simple yet decorative, providing amounts of space for displaying the favorite books and something ornamental. The furniture, additionally, keeps stunning by its color & modern design. Bricks and industrial appeal are mixed, and large white wall arts successfully enlighten the walls. Interestingly, the tribal rug infuses this modern furniture set. 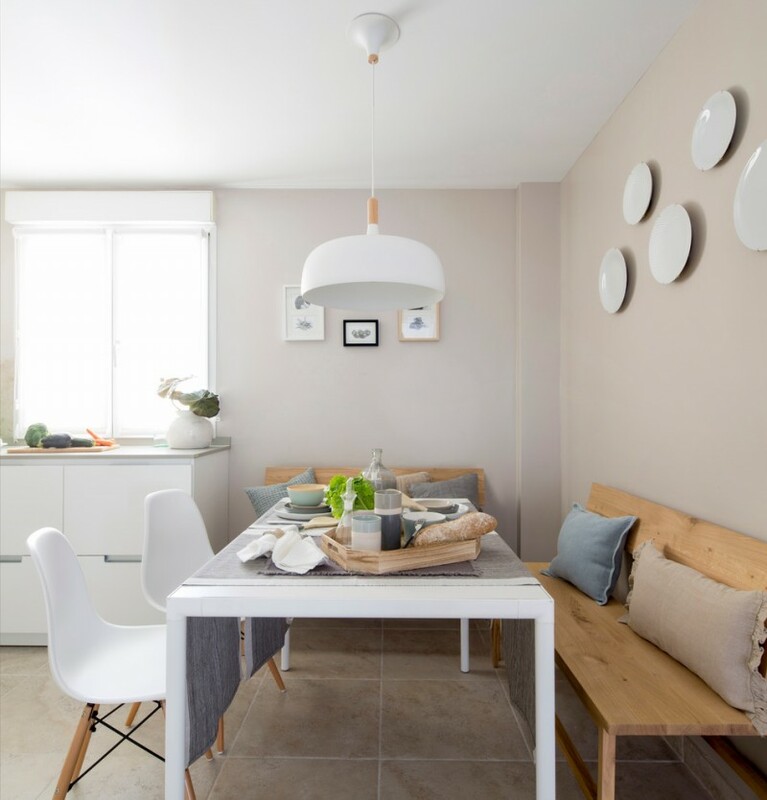 A breakfast nook furnished by dark-toned wood bench and white dining furniture set. The bench’s back is obviously integrated with upward open shelf for a display. A wider marble table in round, in addition, is selected by purpose, to accommodate the users sitting on bench. 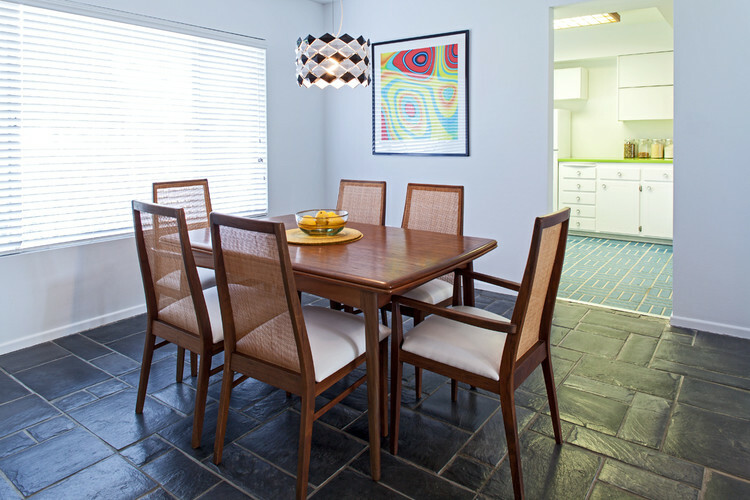 A semi-formal dining room in mid century modern – one of most recommended one for more crowds in a formal dinner. All things are well-ordered including the linen and dining hall console. 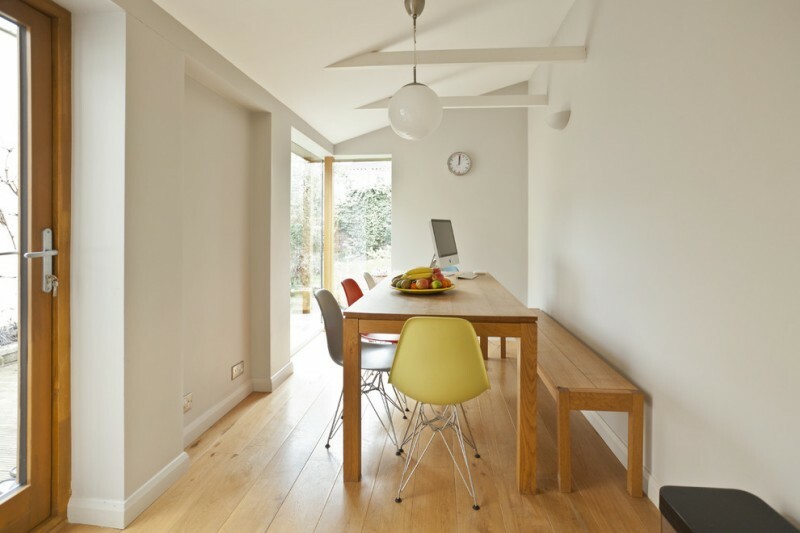 Open-plan dining room with vividly orange dining chairs and glass-top table. 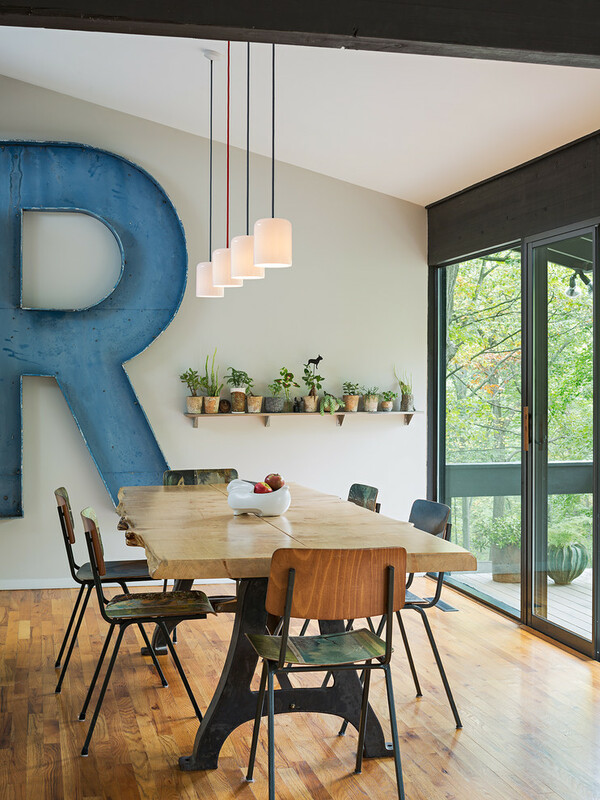 It’s a good idea if you like bringing the outdoor nuance into your eating room. It feels like having meals in the middle of somewhere green & fresh. 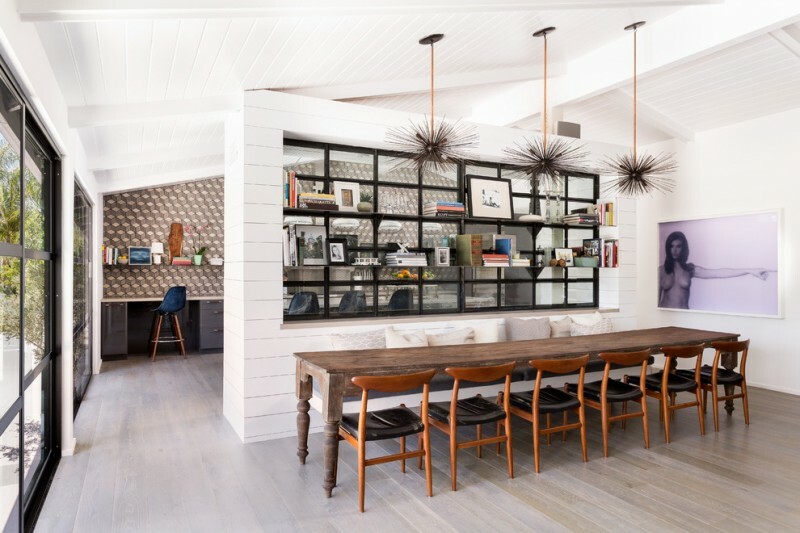 An inspiring dining room idea for a modern ranch house. Based on the furniture and interior choices, it’s clear that the homeowner loves the modern concept that probably fits his personal style. 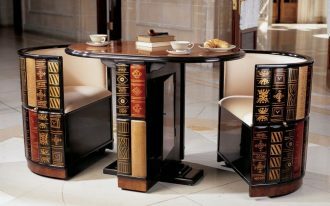 The furniture, in more details, actually involves the element of nature, and some of them are kept natural (especially the tone, shape, and texture). The round-end table seems narrow, but it isn’t. It accommodates more users. It’s well-recommended for a limited-space dining room. Just add a unique ornament like this fun wall art to give something cheerful. Neutral palette meets pop of color. They’re minimalist yet complete each other. Not dominant over others, not sterile also. The dining table seems petite, a perfect pair for a full-length bench and a long-chair arrangement. It’s also interesting to add the most favorite thing like books behind the bench. It could be a ornamental and functional ‘background’ as well. 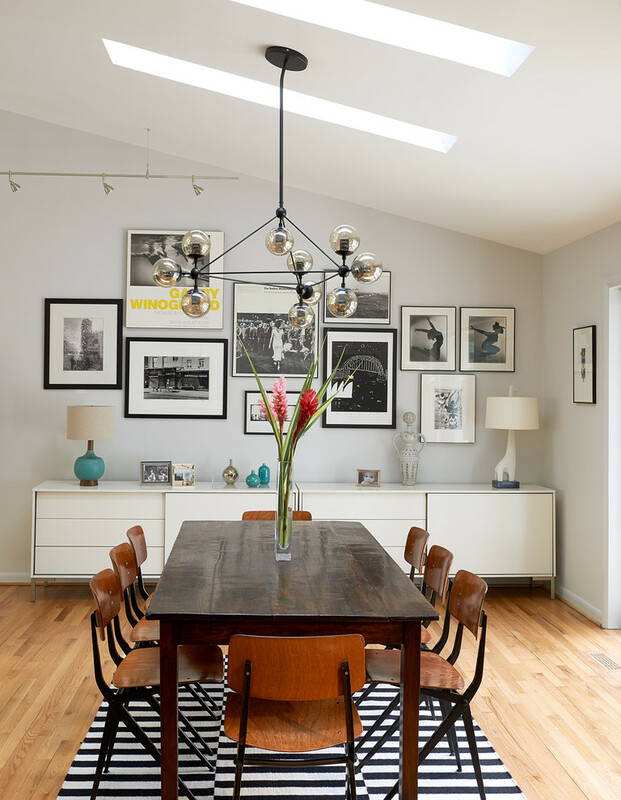 A real mid century modern dining room concept with lower pendants, dark wood dining furniture set, and decorative photographs. Large red carpet, as if, shows how huge the space is. The size says the whole family can comfortably sit when having a dinner. 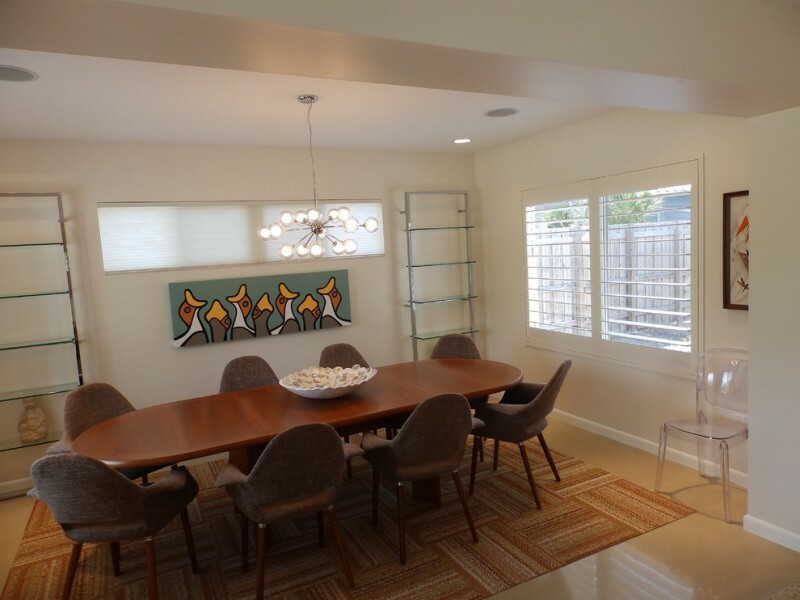 The designer takes the client’s interest on mid century modern design. 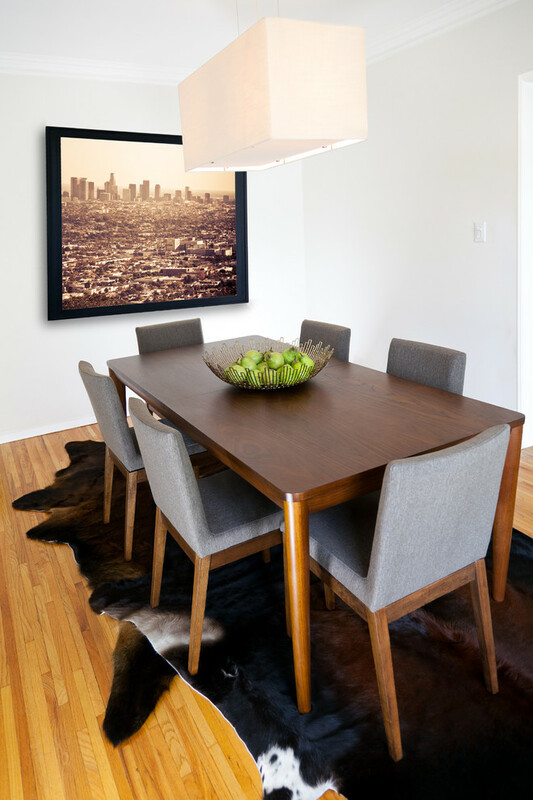 The space is surfaced by dark cowhide that perfectly bases the grey-upholstered chairs & wood table, and an oversized photograph of old LA successfully breaks the clean-look walls. Honestly, I like something colorful and I’d like to add pops of color to my dining room for a more fun and cheerful look. Probably I want to give my chairs and table the bright colors as the accents. It’s important to break a monotone look. 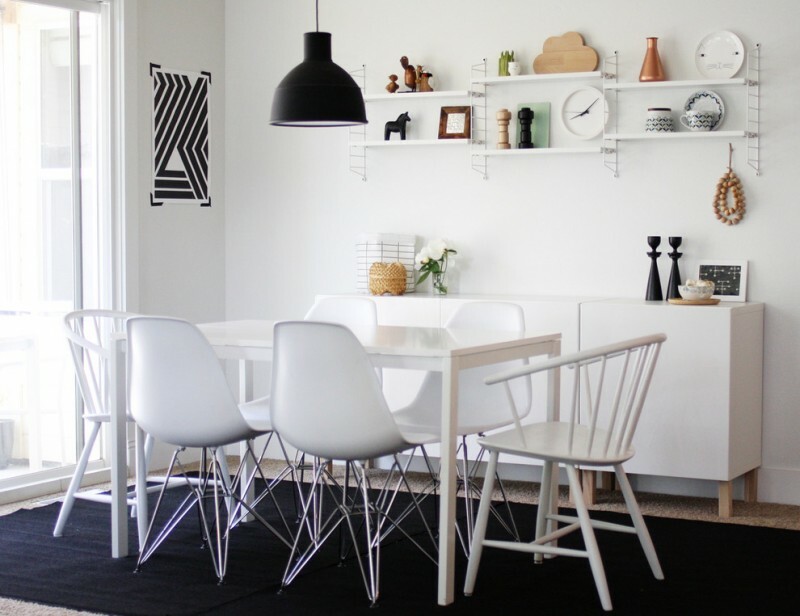 All-white mid century modern dining room furniture set. It’s too monotone and clean. It needs something colored and attractive. 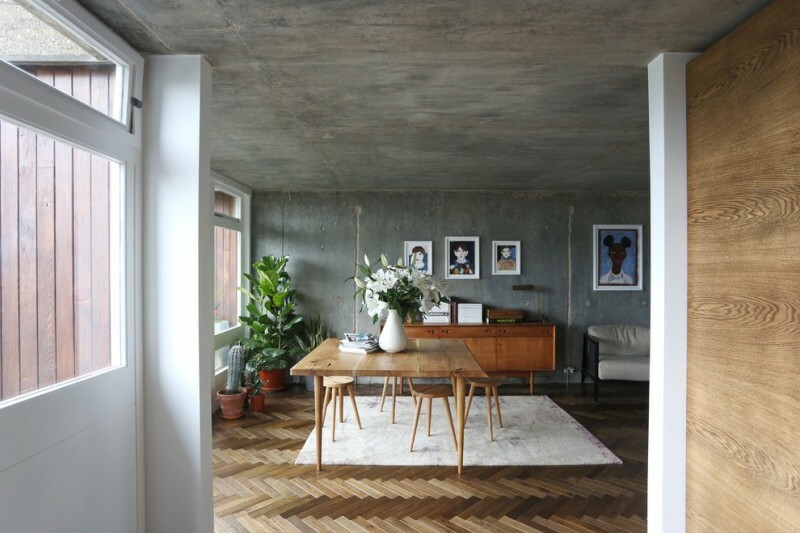 Black industrial-style pendant and carpet aren’t enough. What a perfect color combination! Beige vs glossy black. The wood element also completes their performance. Overall, the color combination brings the classiest elegance ever! The chairs with higher back are so unique, they’re quite different with other existed chairs in this eating room. The sconce is also stylish. It’s specially designed as the best alternative if you won’t use a traditional chandelier. We need to set it up in lower-level watt to produce a dimmer or soft glow. 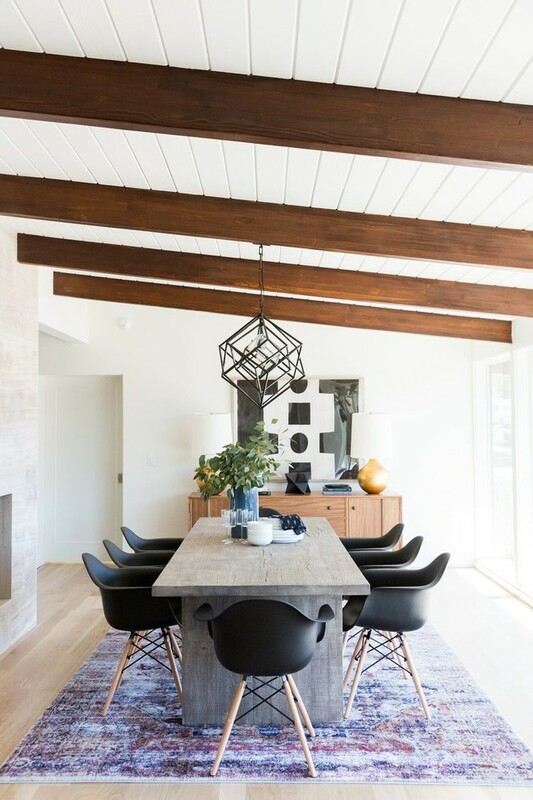 Rustic-Mid century modern dining room idea with bold-neutral as the primary tone for the interior. 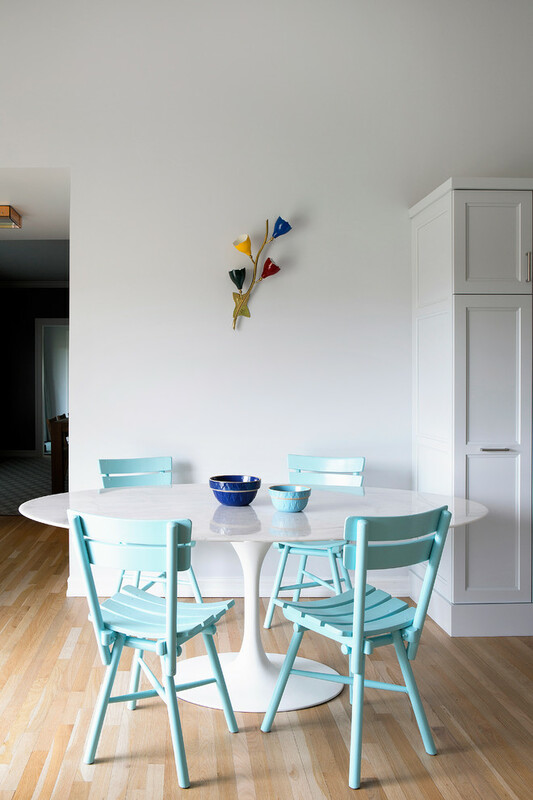 Balance it with brighter or softer like these units of molded plastic dining chairs with wood legs. 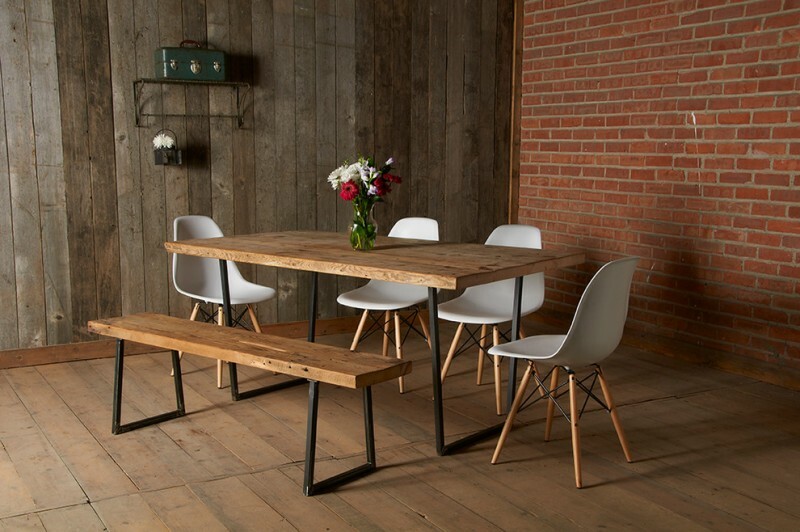 The industrial appeal apparently emerges on the existed bench and dining table. Mix of lot of styles in one frame sounds interesting, right? Woven dominates the space. The furniture and pendant have a textural appeal-woven that can make a statement in this space. They have truly transformed the feel and look. The design of both, actually, adopts the traditional/ classic, but they’re trendier. 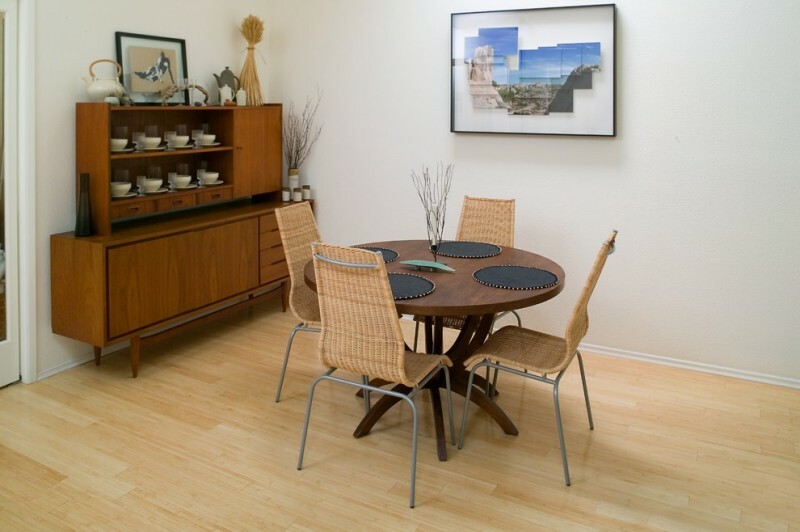 Clean-look and modern-line, these credits are well-applied on this mid century modern dining room furniture set. Soft cream and wood color look so matched each other, giving an airy-feel. Slimmer and higher-legs furniture can be the best solution for such a narrow space. You just need to choose the most right color tone for more stylish look. The pendants, moreover, must be decorative and be the most stunned one among this soft-interior dining room. Modernity with natural element involvement, I’ve found it in this idea. The great modern design is applied on woods (one of most-used elements of nature in architectural matters). Some series of pop of colors chairs also empower the modern appeal in room. 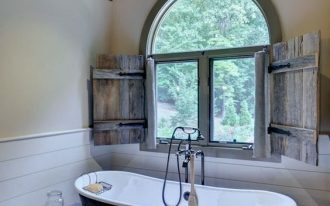 I like that window divider. The filament bulbs with exposed wires are the industrial style, but they add more modern appeal while completing the black and white tones. 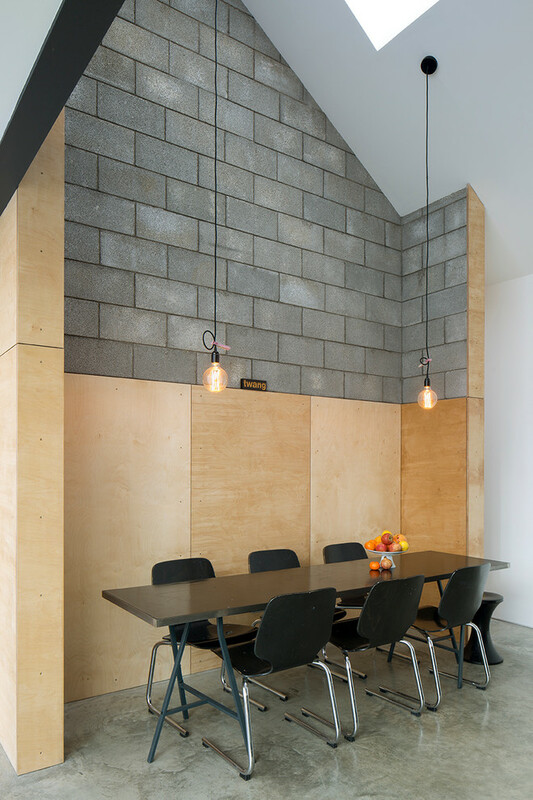 Modern-implemented concrete interior for a mid century modern dining room. Chill-feel concrete as if has been broken by natural warmth of woods found in all furniture sets, giving a balanced look in this space. And, some decorative plants give a genuine freshness in the middle of this ‘rigid’ interior. Look at the background. It’s like on Christmas when we’ve often discovered most leave-less trees due to winter. 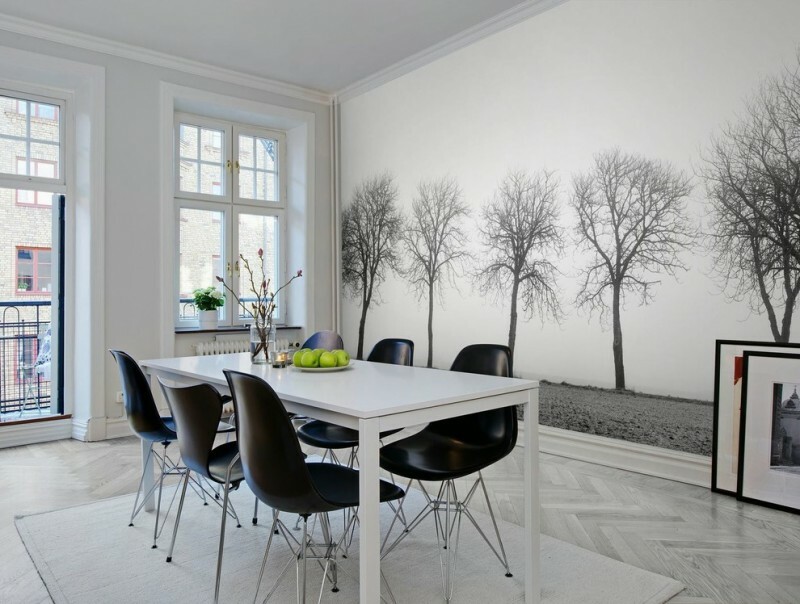 It’s really smart to fit the interior wall or you can call it as a ‘background’ wall with the furniture choice. And we all know that black and white, finally, be the primary tone in this space. Bold, like in a couple of display cabinets and floors, actually assist the existed interior more obvious due to their contrast, while the furniture sets add natural warmth through their natural tone. 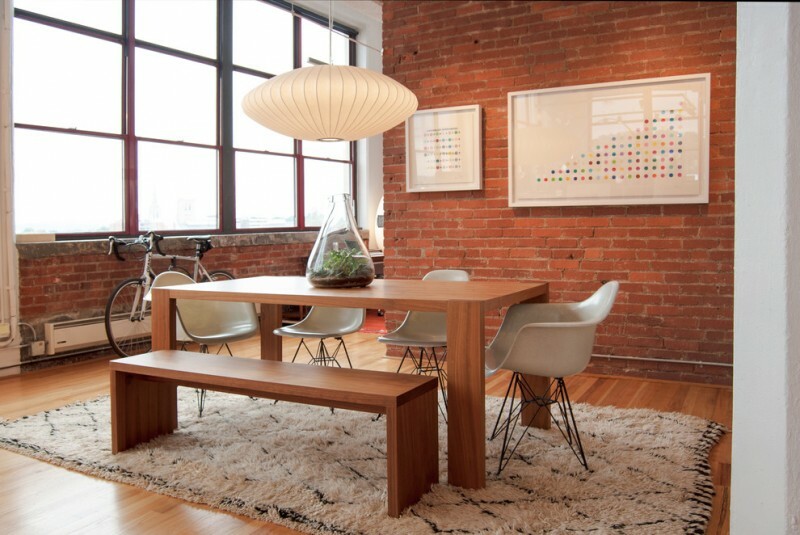 An example of urban-style interior furnished with mid century modern dining furniture set. A pair of drop light fixtures isn’t only producing warm & soft glows, but also visually decorative. They really meet the urban concept. 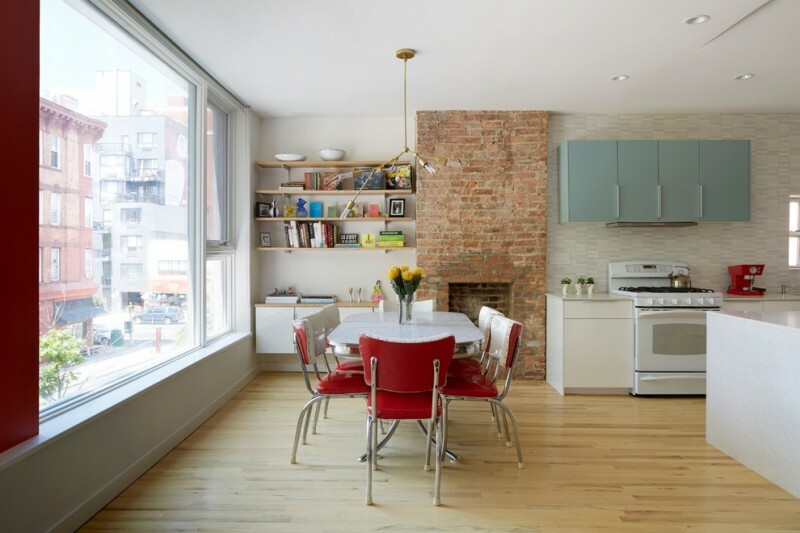 The furniture choice comes closer to an updated mid century modern. 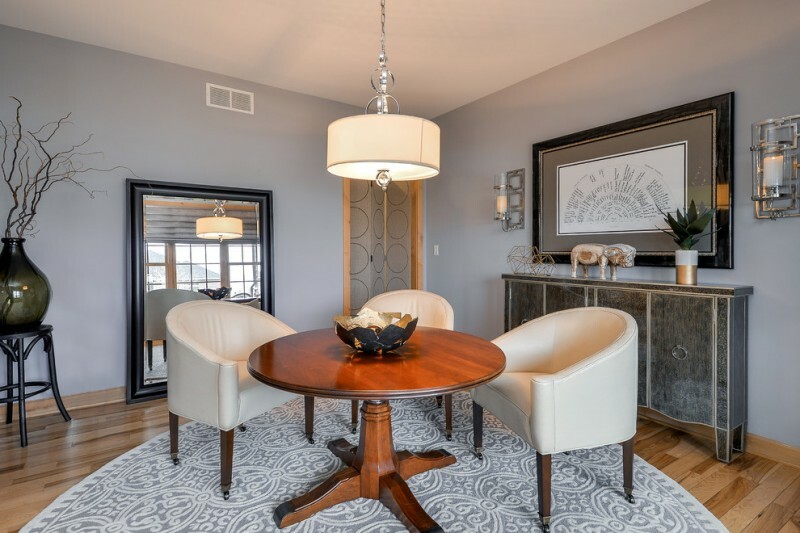 Simple but stylish chairs stay stunning in neutral palette, and the area rug perfectly anchors the chairs’ legs, showing a matching color combination for both. Round glass table and molded plastic chairs are managed to be pairing off, and soft-toned cowhide rug is meant to be their linen base, purposing for comfort and ornament. 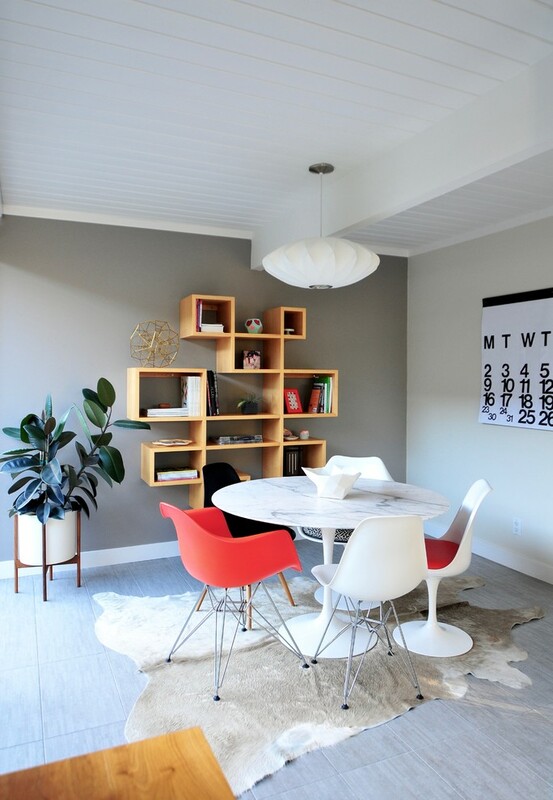 Another inspiring mid century modern dining room dominated by light wood. 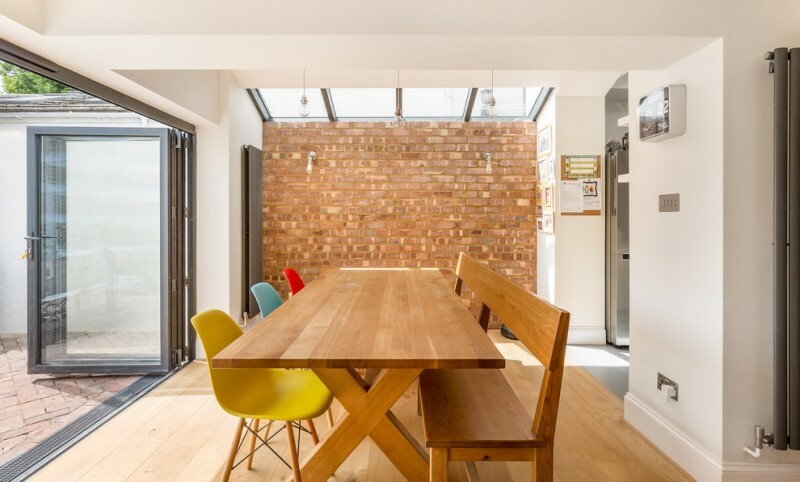 Unlike the previous idea, this space uses wood for the table instead of glass. To create more natural performance probably be the main goal. 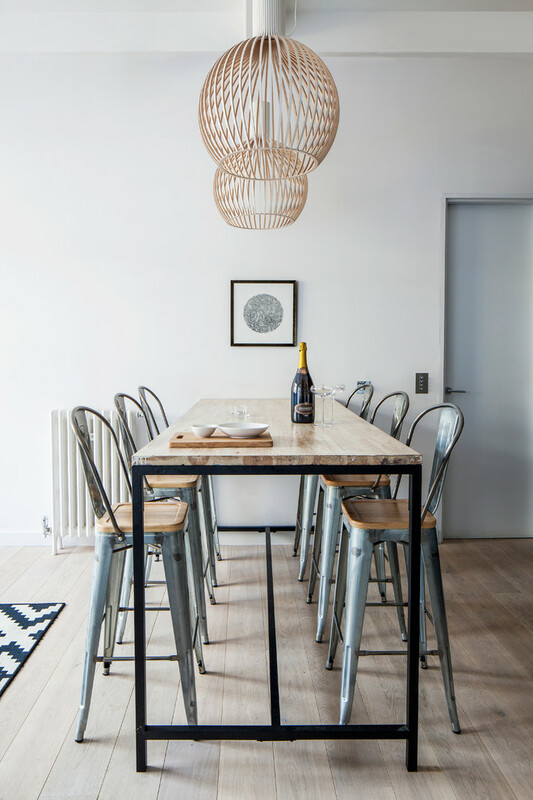 Modern wood chairs seem so perfect for such a clean look interior. Add some medium-sized wall arts for wall’s accents. An area rug needs to include for breaking soft & monotone wood floors. 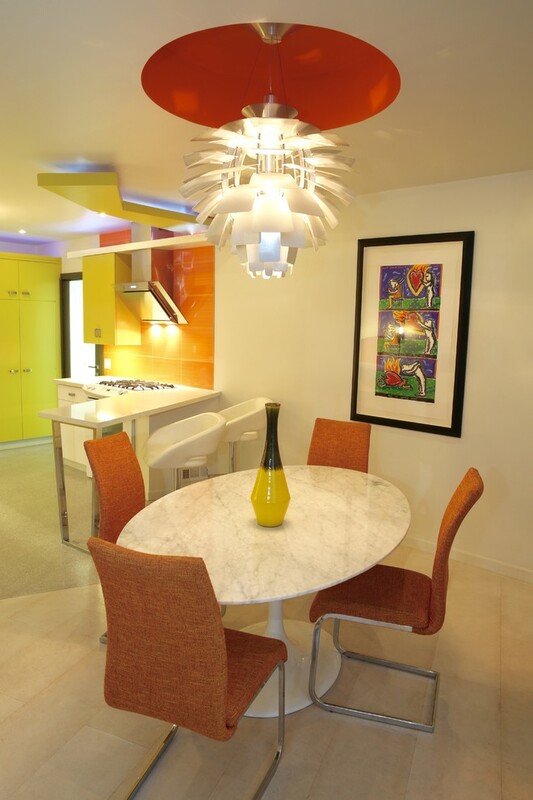 Round marble-top table which is surrounded by some series of orange upholstered dining chairs become a cluster of statement that successfully brings the value. The color choice plays the important role in making the space more stylish and trendy. The pendant, moreover, is visually attractive and effectively produces the soft glow. 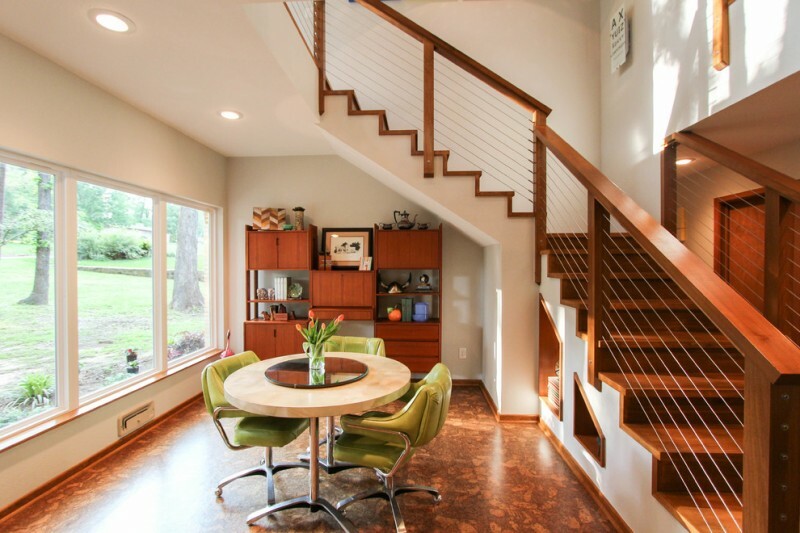 Green creates the freshness, while wood color closely relates to the natural warmth. They have the similarity, symbolizing something connecting to the nature, especially the trees. Through this furniture, I personally wanna say that they have a deep meaning of unity that can complete each other in the real implemented architecture. It seems that it’s not about the matter of size, it’s just rather than a fun tiny seating area around the main living room. Probably, it could be used for an extra eating area or just a cool spot for drinking some cups of coffee with friends of spouse. This space may seem so minimalist. The modern woven chairs and walnut round-top table exactly create a sophisticated look, and an antique-vintage buffet acts like a central piece of sleek open-plan eating area. 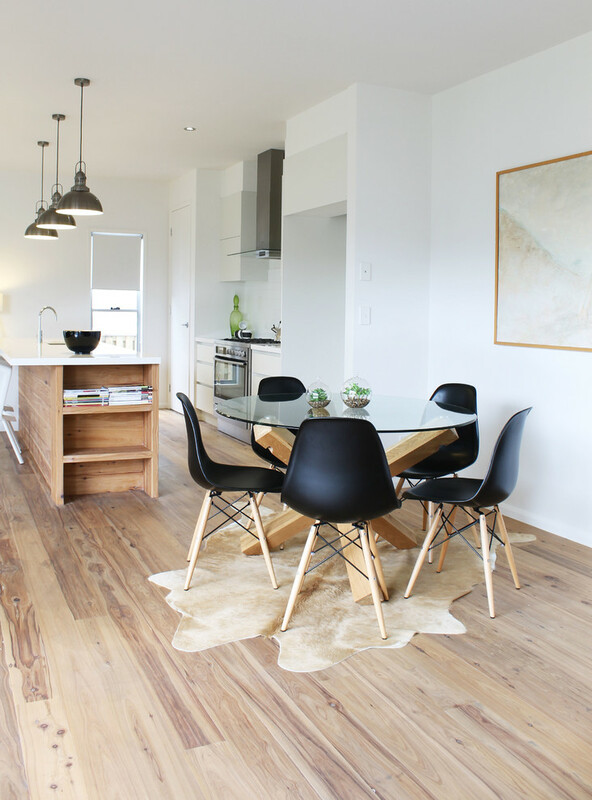 At final, white-painted and light-toned wood floors make the space keeps clean and modern. I love this playful color combination, blue and yellow. They seem like the most potential direct focal points in this space. 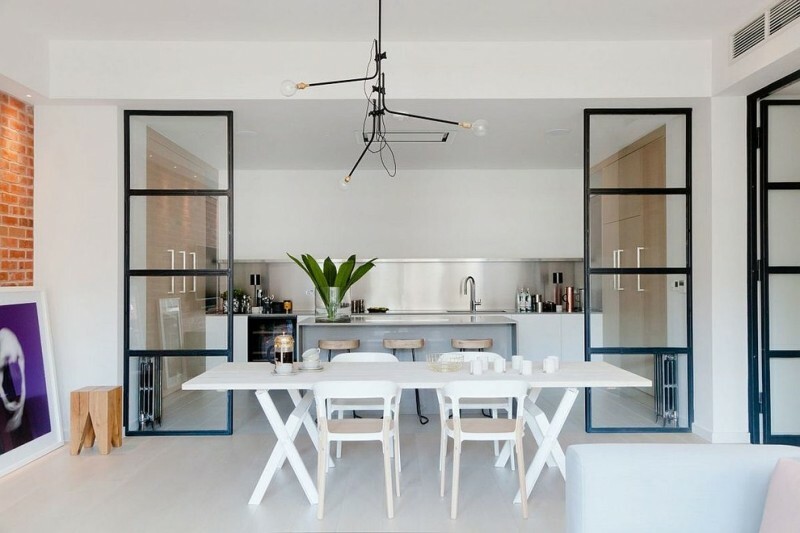 Turquoise blends white perfectly; they’re gonna work optimally for such a clean-look interior. Animal-prints rug gives the impressive tone among these dining furniture sets, adding a uniqueness that obviously breaks out the monotone white. 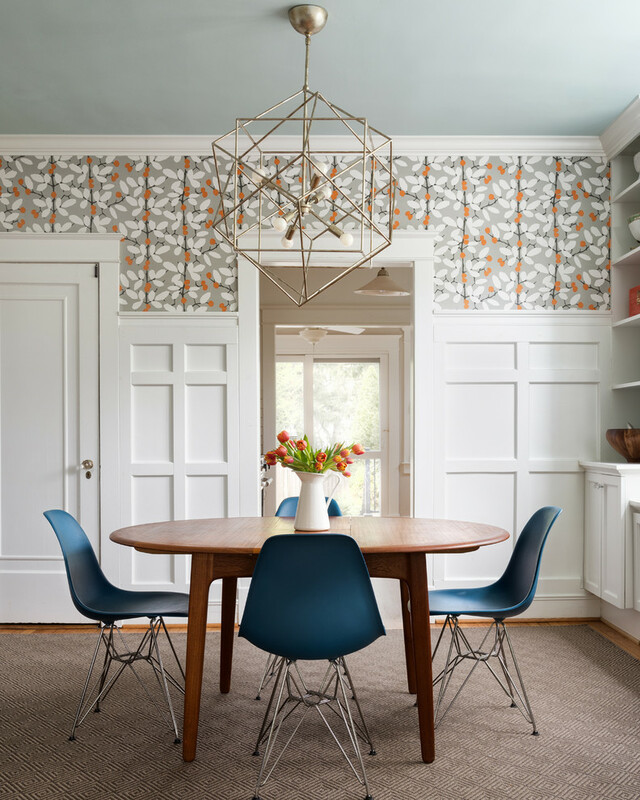 Mutlicolored accents are truly represented in this dining room idea. Each interior stuff, including the furniture, exhibits different color, so it seems so ‘crowded’ in particular spot. This idea is well-recommended for you guys who love focusing things at the corner. 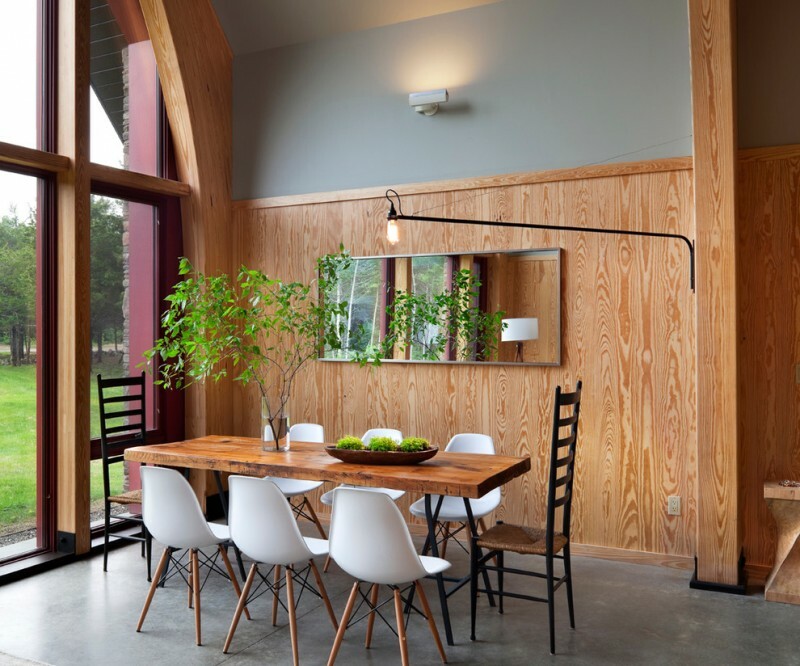 An open-concept dining room furnished by round-shape walnut table and mix fabrication-wood dining chairs. The combination is elegant and sophisticated through mid century modern design. Stylish and modern. It’s like a booth furnished with modern minimalist dining bench and cozy chairs as the extra seats. A nice spot for having some cups of tea/ coffee. It’s like my mom’s dining furniture set, shabby but timeless. With classic look, it’s really most stunning in the middle of modern interior. Bold and neutral may seem old-look and out-to-date, but with modern touch, they could be more stylish. 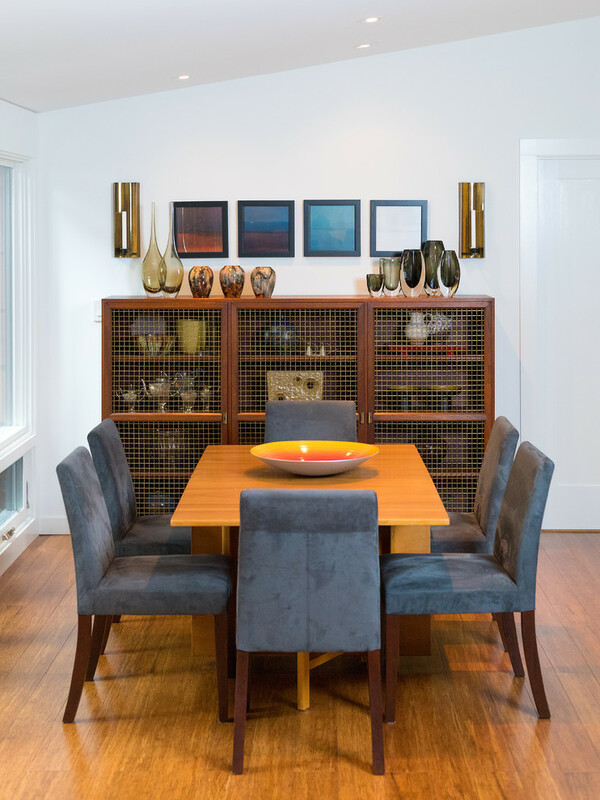 This idea of bold-neutral dining furniture set, for instance, obviously exposes clean lines and simple design as what mid century modern concept has. 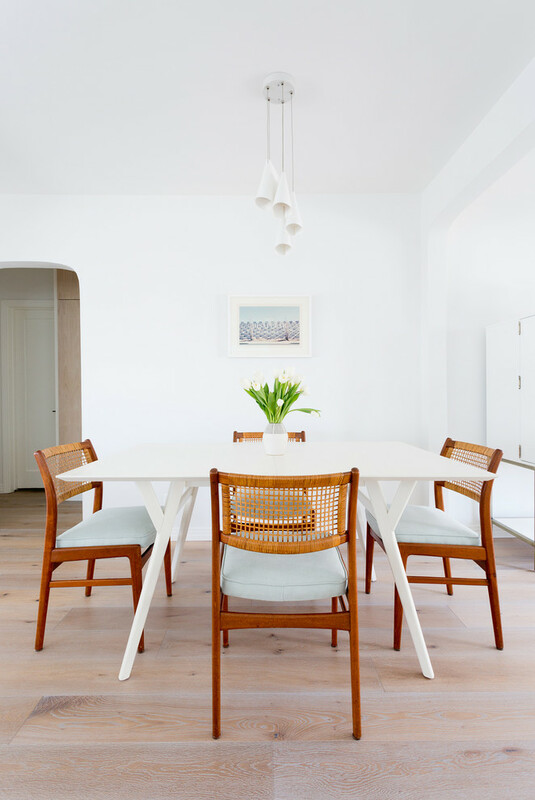 Simple & stylish Scandinavian dining room with mid century modern chairs and light-toned wood benches as the furnishing items. 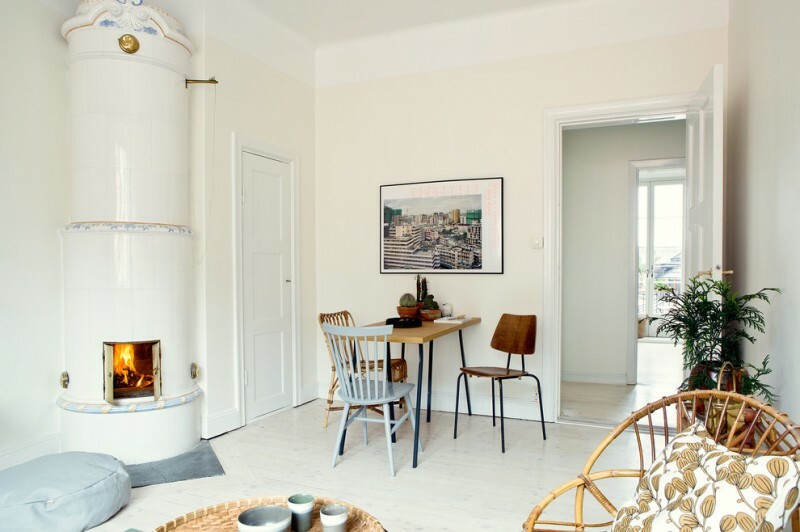 White still be the favorite in this style, and it commonly uses other soft tones as the best color combination (interior’s tone choice, for instance). 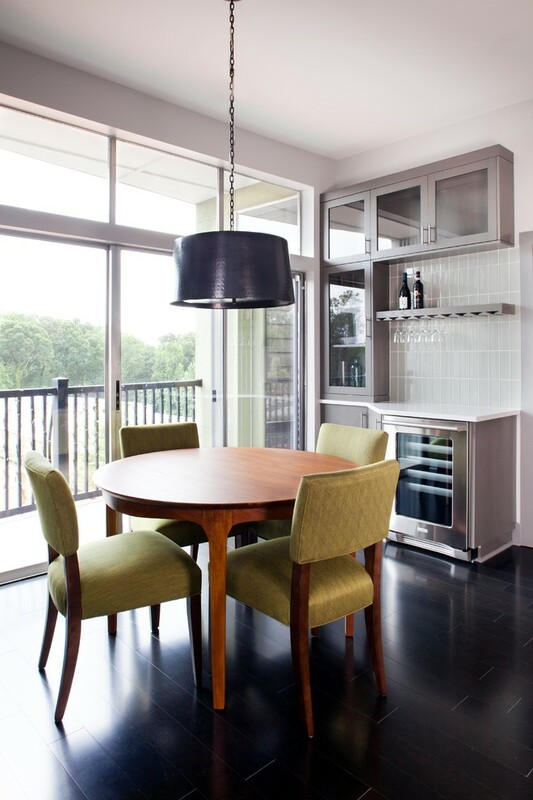 Cement-like dining table has turned the space shabbier but the chairs keep it modern. The exposed beams are interesting and they’re more usable for hanging the industrial pendant. 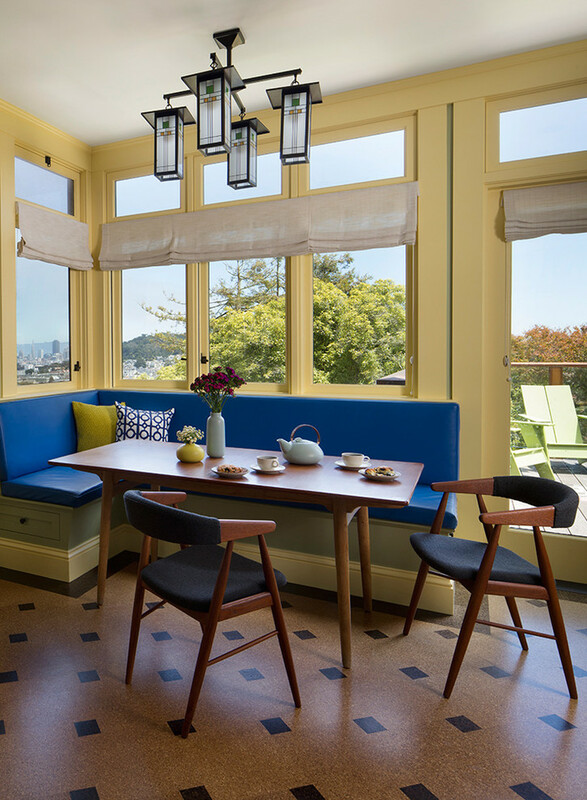 The dining table is stunned by its color, appearing a contrast over the chairs, but not obviously opposite to the interior. A good option for a scandinavian concept. What soft the interior is. 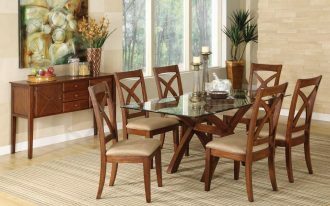 It isn’t bad to fill such space with another soft or light palette like this dining furniture set. 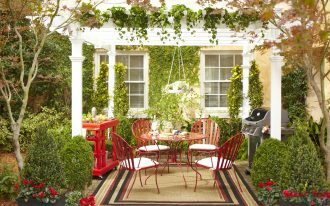 You can play a bit in color on top area like a bolder pendant, or stand the space out with such a fresh and vivid plant over the table. 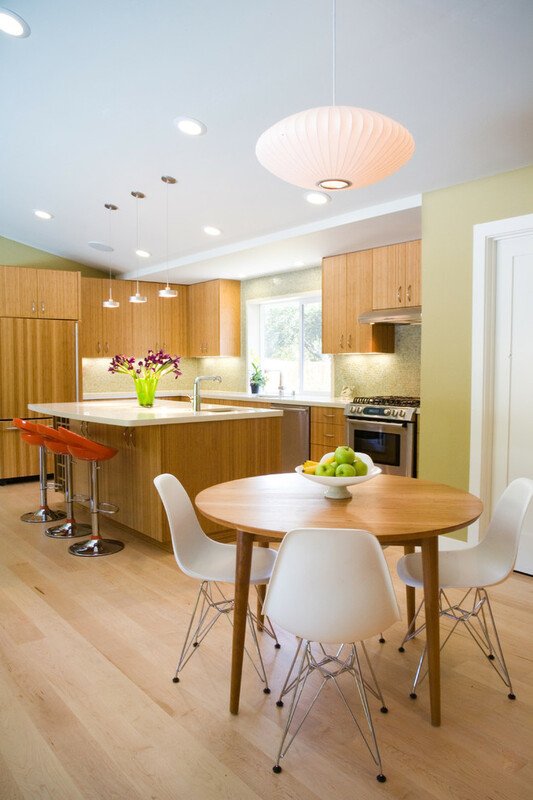 Just three units of dining chairs and a round dining table are enough to furnish most open-concept kitchen. 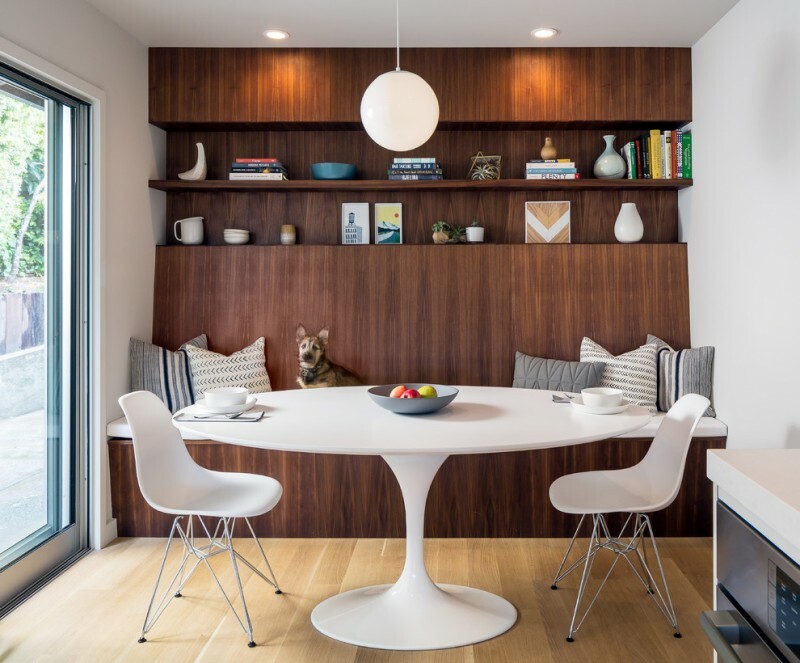 Broken white combined with gloss-coating wood seems a perfect choice for a simple and stylish mid century modern dining room. 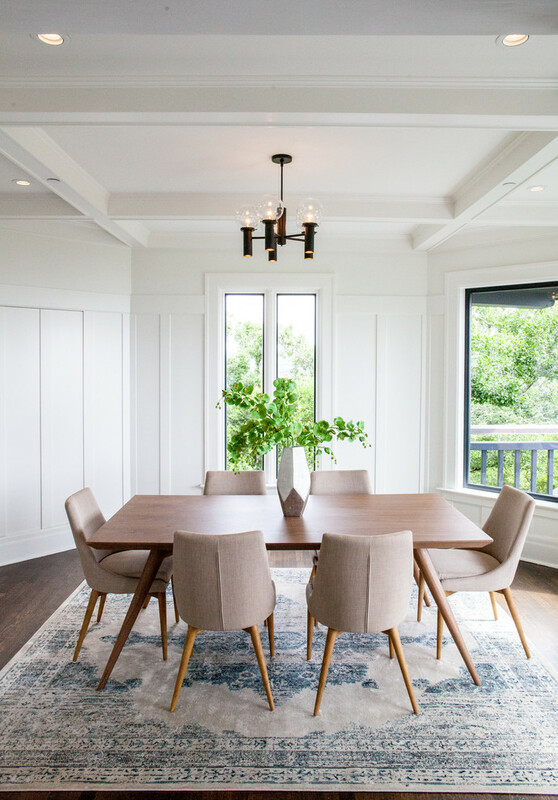 All-custom dining furniture set in mid century modern style – with modern look and clean lines, the space may seem so minimalist. Fewer palettes included, but the wood color (on table) and thin metal on chairs. The light, where did the homeowner get that? 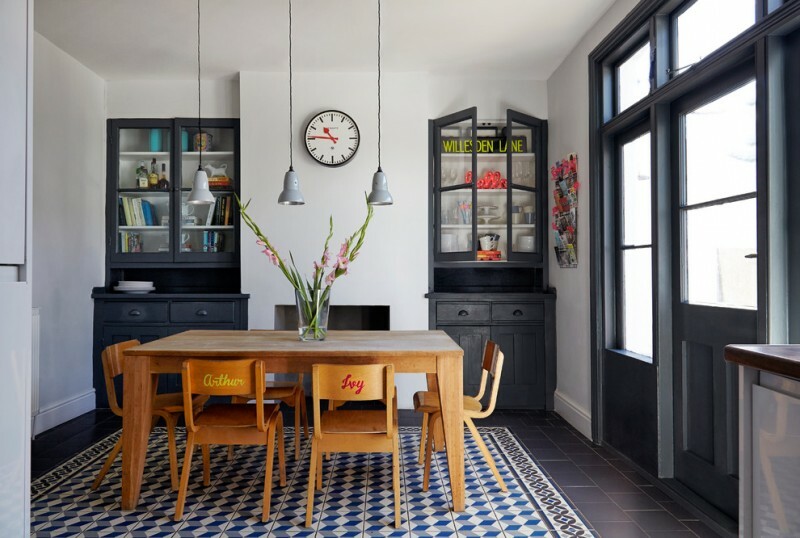 An inspiring eclectic dining room which is prioritizing kid-friendly concept. 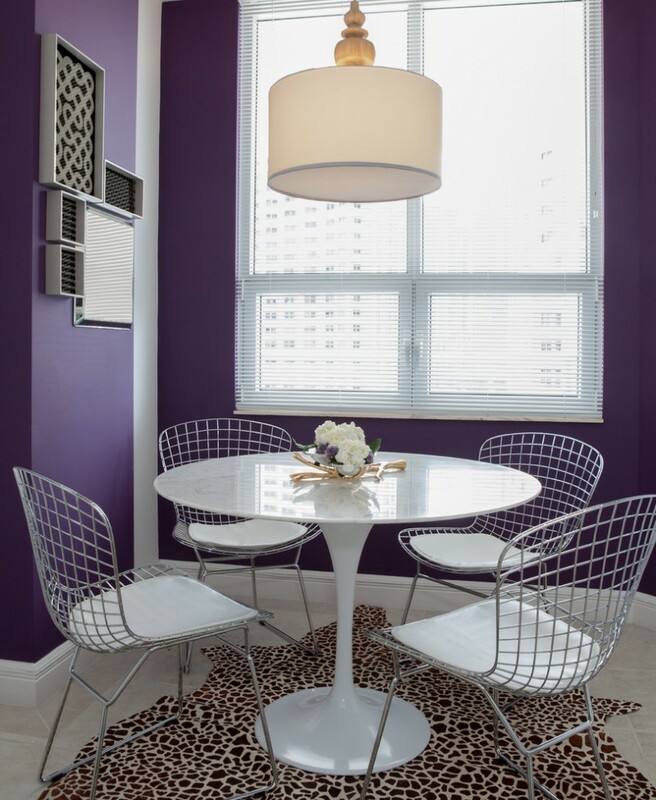 The space is designed in bold and clean color appealed with modern vibe. 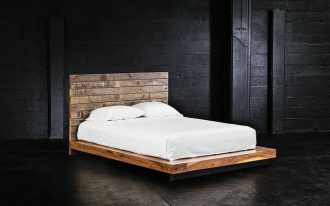 The furniture choice is adopted from local design. 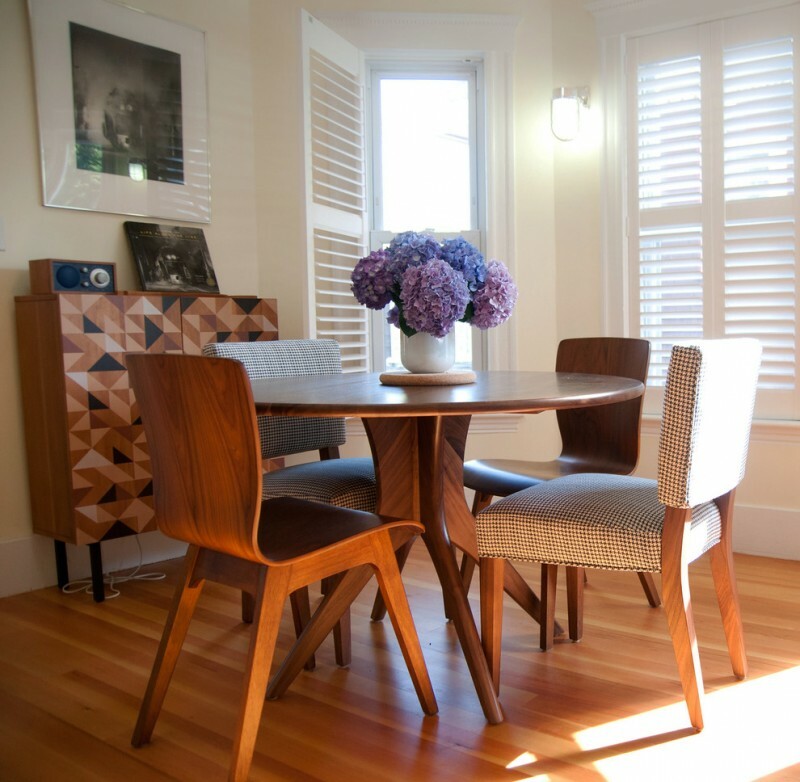 The table and chairs obviously emphasize mid century modern touch. A textured custom carpet offers a texture and enlarges the space. 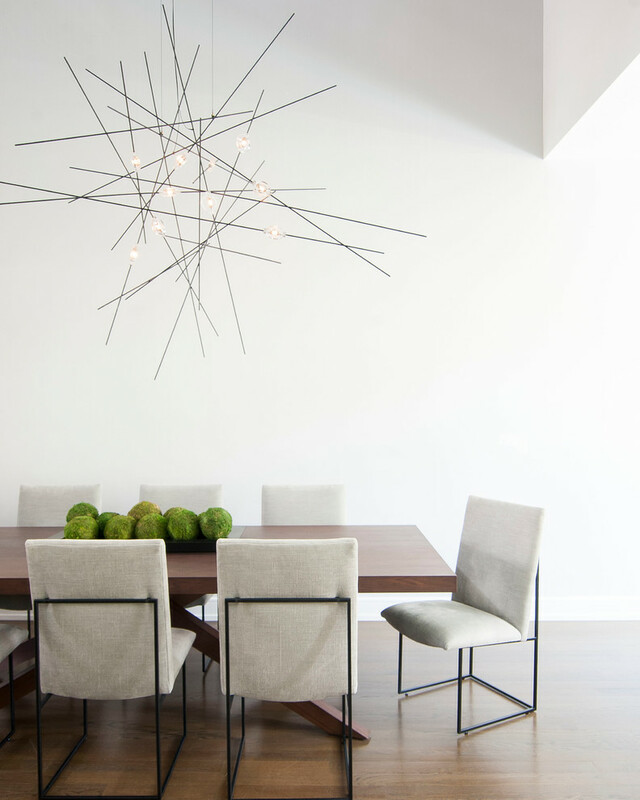 The pendant’s design isn’t only providing sufficient light, but it’s also a direct focal point. 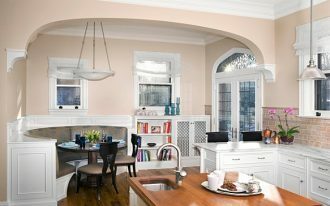 The last but not the least, the wallpaper over the millwork successfully brings color accent. Welcoming and warm dining room idea. Create a dining space where people can enjoy and share sweet memories while having dining with their loved family. White molded plastic chairs be perfect pairings for a couple of chair slipcovers. The color is pure, giving a clean and simple visual effect. Dark-finishing wood table, by contrast, emerges earthy bold palette, and the light fixture adds an industrial-feel in this space. Want to try this idea?